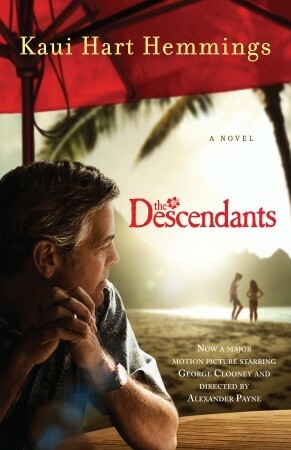 The Oscar-winning film THE DESCENDANTS starring George Clooney has been on everyone's mind in recent weeks. My husband and I rarely get to the theater to see movies, but this is one that has been on our radar for some time. Fortunately, The DESCENDANTS became available on Blue-Ray and DVD this week, so it's entirely possible that my husband and I might actually get around to seeing it! I recently learned that there is The Descendants Book to Film Study Guide which is available for book lovers, film watchers and anyone else. It’s a terrific tool for those who read Kaui Hart Hemmings’ book on which the Academy Award-winning screenplay is based and I plan to use it in the very near future. You can click on the study guide below to enlarge it. For those of you who have already read the novel, you might be interested to know that there is a Goodreads Featured Author Group with Kaui Hart Hemmings that started just a few days ago. Make sure you stop by again on Sunday because I will be hosting a very special giveaway that will give you a fantastic reason to use this study guide! As you know, I loved the movie and the book. I didn't even know the movie was based on a book until after I saw it. Once the movie was over, my friend told me it followed the book closely. The movie was great - I need to read the book now. I haven't seen or read yet. Gaaah, so far behind!